Historical convention has painted the great American poet Emily Dickinson in the image of a modest, reclusive, old-fashioned spinster. But this characterization runs counter to the bold voice of her poems that defies categorization: “I’m Nobody,” she states, “– who are you?” It’s a voice we can’t ignore, confrontational and invasive, she is challenging us to question our own very nature. Even if you’ve only read a few of Dickinson’s poems, you know that she was anything but a conventional 19th century woman. Among all the poets of her day, Emily Dickinson is believed to present the most authentic cognitive difficulties in her poetry. She is said to have had within her the flair and qualities of inventiveness, acquiring homespun mastery in trope and craft, with an originality in her writing akin to such great thinkers as Shakespeare and Freud. This much studied and yet still enigmatic poet has received renewed attention with a number of recent books and film productions. It is well known that Emily Dickinson wrote most of her poems in the home of her well-to-do family on Main Street in Amherst, Massachusetts. A place where she was born in December 1830, and lived in virtual seclusion as an adult, and in May 1886, died. We now have new insights into her life and her relationships. These revelations are pivotal in deepening our appreciation and understanding of her poetry. Besides a handful of poems that were printed when she was a young woman in a local newspaper, Dickinson never published her poems on her own. Did she abhor the commercial marketplace? Was she offended by the editing of a few poems she had submitted to well-known literary figure Thomas Higginson? He felt that her poetry lacked structure and was poorly punctuated. Upon her death, Higginson, who was named as an executor of her collected work, edited and published many of them. The public was only able to experience her original unedited writing when they were finally published in 1998. Much of her poetry were letters of correspondence with both real and fictionalized individuals. Dickinson composed almost 1800 poems, but her family and those around her had no idea of the extent of her writing. She guarded her privacy closely so she could work, often at a feverish pace, reinventing the language of poetry. The substantial body of her work was only discovered upon her death. She had produced her life’s work in its entirety without any personal intention of publication. It’s all too tempting to speculate about her personal life, and recently a slew of books and movies have done just that. Did she suffer from acute social anxiety, or epilepsy, or bipolar disorder? Was she lesbian, a proto-feminist, a religious radical, a sexual pioneer? The poems support almost every theory and feed almost every taste. Regardless, it’s universally agreed that Emily Dickinson is one of America’s greatest and most original poets. She took definition as her province and challenged the existing norms of poetry and the poet’s work. The producers of last year’s acclaimed dramatic film ‘A Quiet Passion’ have followed up their film with a comprehensive documentary about the great poet’s life and work. 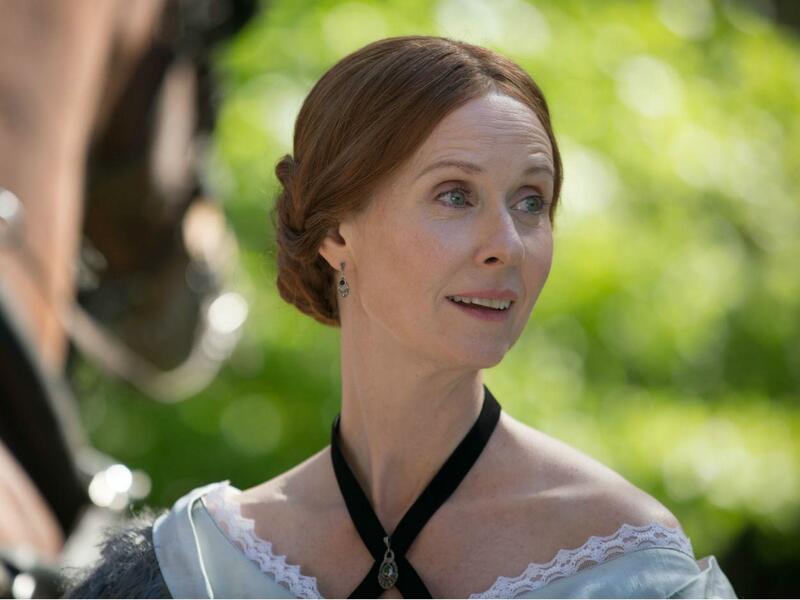 Cynthia Nixon, who embodied the role of Dickinson in filmmaker Terrence Davies’ dramatic production, narrates the new film, ‘My Letter To The World’ which shows here on Tuesday, May 29 with an introduction by Film Forum host Barbara Gardner. Cynthia Nixon, the actress-turned-activist-turned-gubernatorial candidate is currently running against the incumbent Governor of New York, Andrew Cuomo, for the Democratic Party’s nomination. The New York primary will be held in September prior to the November general election. Cynthia has recently received the endorsement of the influential Workers Family Party. This regional political party supports progressive candidates and advocates for economic and social justice. The New York Democratic Party machine is not taking this rebuff lightly. The Cuomo forces have threatened retaliation against the Workers Party for their endorsement of Cynthia. The leadership of two big unions have withdrawn their financial support of the Workers Family Party. The fight for the soul of the Democratic Party is being played out in the New York primary as well as dozens of other races around the country where progressives are running against establishment Democrats. The Democratic leadership has lost influence and credibility since Hillary’s defeat. Unable to learn from past mistakes, the DCCC (Democratic Congressional Campaign Committee) is unwilling to sever their lucrative ties with Wall Street and big monied interests. In the meantime, diverse grassroots movements have come on strong. Bernie Sanders’ political legacy is exemplified in such groups as Our Revolution, Indivisible, MoveOn, the Poor People’s Campaign, the Worker’s Family Party, and the Green Party. Policies shared by these movements include Medicare-for-all, campaign finance reform, affordable housing, a workers’ living wage, college loan forgiveness, and free college tuition. More recently a groundswell of support for progressive causes has erupted. Kickstarted by the Women’s March in D.C. after Trump’s Inauguration, the women’s movement continues to grow with each new transgression by Republicans and their corporate cronies. The issues that women care about – subsidized childcare, quality education, income equality, reproductive rights, and a healthy environment – are all on the line. And then came the explosive epidemic of reports of sexual harassment and assault on women within government and the corporate workplace. Few of us had foreseen the transformative power of the #MeToo movement. Women are more engaged, energized and resolute than ever. And their political power is growing fast. Although women still only make up one in five elected officials on Capitol Hill, more women are signing up to run for elected office than ever before. So far, at least 575 women have declared their intention to run for the House, the Senate or governor. Nearly three-quarters of these candidates are Democrats or independent progressives. And that’s not to mention the thousands of women who are running for political office on the state and community level. One of the clearest progressive voices in politics today is Gayle McLaughlin, the past two-term mayor of Richmond, California. She has just published her new book ‘Winning Richmond’, an account of her years serving as an activist mayor in an impoverished city that was once crime-ridden on the San Francisco Bay. She led a small coalition of progressive citizens into elected office and liberated the Richmond City Council from the corporate grips of the giant Chevron oil refinery that dominates the city. Her legacy has left Richmond a cleaner, greener, safer, and more equitable city. She has since moved on to run for Lieutenant Governor of California. Here in Hampton Roads, we have a local primary on June 12th to pick the Democratic candidate who will run in November against Republican Scott Taylor for the 2nd Congressional district seat. The district sprawls all the way from the Eastern Shore through parts of Va Beach and Norfolk and then on to Williamsburg. The primary is open to all registered voters living in the district. This year is unprecedented in that we have two capable and competent women who are vying for the Democratic nomination. Elaine Luria is a retired U.S. Navy Commander, and a business owner. Karen Mallard is a school teacher and community activist. Both women advocate for similar liberal policies. Elaine Luria has already received recognition from the national DCCC as part of their ‘Red To Blue’ campaign to flip seats and win back a Democratic majority in Congress. The party leadership has received criticism for their early decision to choose certain candidates to fund prior to the voters’ selection in the party primaries. Although it’s not called an official endorsement, it achieves the same results. It will take a lot of money to run a successful campaign to unseat the incumbent Scott Taylor who has already accumulated a hefty war chest. And the lack of any real name recognition provided by either Democratic candidate means that grassroots funding will be minimal, and their campaigns must rely on PAC money from national organizations. When citizens don’t participate in the political process, big money will make the decisions and the political elites will get their way. Since any real organizing by local Democrats in the 2nd District is minimal, outside money will influence the ultimate outcome of this election. One of the country’s largest PACs is EMILY’s List, an organization built to elect women who are pro-choice candidates. Contrary to its title, EMILY is not affiliated with the estate of the great poet. It’s an acronym for ‘Early Money Is Like Yeast’ — meaning it helps raise dough. The group has already earmarked funds to go to Elaine Luria’s campaign. Both of the Democratic candidates running for the 2nd district Congressional seat have been invited as guests of the Naro for the screening of the new documentary, ‘RBG’, showing on Wed, May 23rd with post-film discussion. Ruth Bader Ginsburg has served on the Supreme Court as a progressive voice for women and minorities since her appointment by Bill Clinton in 1993. Her personal journey and her important legal work are not well known. 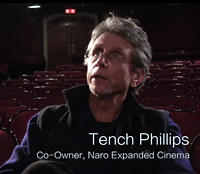 The film arrives at a crucial time in American politics. Ginsburg has much knowledge and wisdom to impart to the next generation of social justice reformers and political activists. GODARD MON AMOUR Academy Award-winning director of The Artist, Michel Hazanavicius, once again transports moviegoers back in time. France in the late 1960s has been swept over by the French New Wave of filmmaking. The young filmmaker Jean-Luc Godard (Louis Garrel) is considered an enfant terrible. The script is based on the memoir by his first wife, actress Anne Wiazemsky (Stacy Martin). She finds herself juggling political protests and artistic challenges in her married life with the obsessive filmmaker. This is a comic romance with bite. In French with subtitles. Shows Tues, May 22 with introduction. RBG At the age of 85, U.S. Supreme Court Justice Ruth Bader Ginsburg has developed a breathtaking legal legacy while becoming an unexpected pop culture icon. But without a definitive Ginsburg biography, the unique personal journey of this diminutive, quiet warrior’s rise to the nation’s highest court has been largely unknown, even to some of her biggest fans – until now. This revelatory documentary exploring Ginsburg ‘s exceptional life and career is from filmmakers Betsy West and Julie Cohen. Shows Wed, May 23 with speakers. GRACE JONES: Bloodlight and BAMI A larger-than-life entertainer, an androgynous glam-pop diva, an unpredictable media presence for over 40 years – Grace Jones is all these things and more. Sophie Fiennes’s documentary goes beyond the traditional music biography, taking us home to her family in Jamaica, into the studio, and on the stage where the pop diva shines, with eye-popping performances of “Slave to the Rhythm,” “Pull Up to the Bumper,” “Love is the Drug,” and more. Opens Friday, May 25. 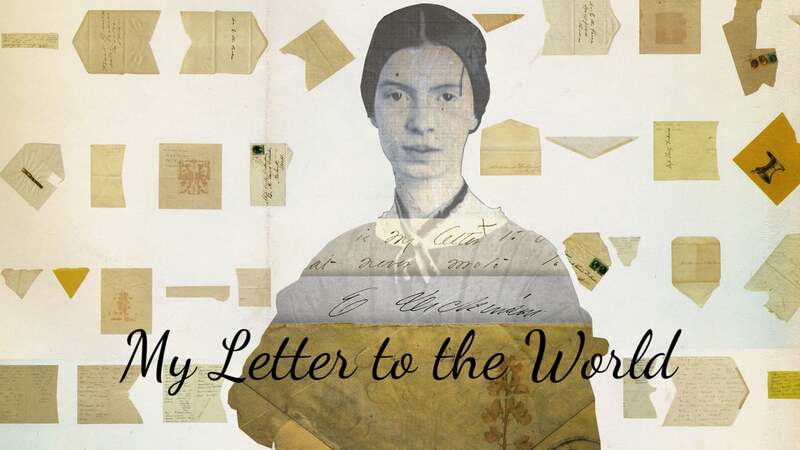 MY LETTER TO THE WORLD Emily Dickinson has spent the 130 years since her death unfairly pigeon holed as the strange recluse in white. This new documentary is an in-depth exploration of her life and work, filmed in her hometown of Amherst, Massachusetts and narrated by Cynthia Nixon, the actress who played Emily in last year’s acclaimed film A Quiet Passion. Featuring interviews with authors and scholars to bring new theories and insights about the poet’s personal life and revered work. Shows Tuesday, May 29 with introduction. 1945 On a summer day after the end of World War II in 1945, an Orthodox Jewish man and his grown son return to a village in Hungary while the villagers prepare for the wedding of the town clerk’s son. The townspeople – suspicious and remorseful – fear that the men may be heirs of the village’s deported Jews and expect them to demand their stolen property back. Director Ferenc Török paints a complex picture of a small town’s guilt and denial of their recent horrors perpetrated on their fellow countrymen for their own personal gain. In Hungarian with subtitles. Shows Wed, May 30 with introduction. ITZHAK From Schubert to Strauss, Bach to Brahms, Mozart to Billy Joel, Itzhak Perlman’s violin transcends mere performance to evoke the celebrations and struggles of real life. Alison Chernick’s new documentary looks beyond the sublime musician, to the young man who struggled to be taken seriously as a music student when schools saw only his disability. Shows Sunday, June 3 presented with WHRO-FM. LOU ANDREAS-SALOME: The Audacity to be Free Based on the memoir of Lou Andreas-Salomé, the brilliant novelist, poet, philosopher, psychoanalyst, and early feminist. Salomé’s desire to live a life free from convention actually scandalized society. But she also spurred genius and passion in others, including Friedrich Nietzsche, Paul Rée, Sigmund Freud, and her lover, the poet Rainer Marie Rilke. In German, Italian, and Russian with subtitles. Shows Tues, June 5 with introduction. BACK TO BURGUNDY Three siblings reunite at their home in picturesque Burgundy to save the family vineyard in this tender tale of a new generation finding its own unique blend from acclaimed director Cédric Klapisch (L’Auberge Espagnole). Their father passes shortly after Jean’s return, leaving them with the estate and a looming inheritance tax of half a million dollars. As four seasons and two harvests go by, Jean, Juliette, and Jeremie have to learn to reinvent their relationship and trust in each other as they work to preserve the land that ties them together. In French with subtitles. Shows Wed, June 6 with introduction. ON CHESIL BEACH Adapted by Ian McEwan from his own bestselling novel, the drama centers on a young couple of very different backgrounds in the summer of 1962 in Dorset, England. The story follows the pair through their idyllic courtship and explores the sexual morals and societal pressures of the day. Although Edward (Billy Howle) is an intelligent young man, he has a taste for rash behavior. His passionate desires clash with the beautiful and sensitive Florence (Oscar nominee Saoirse Ronan), who is bound by the social code of another era and is terrified of sexual intimacy. Opens Friday, June 8.